Chris utilizes his 29 years of Real Estate experience to not only help you purchase the right house but to get you the best price possible. His excellent negotiating skills in conjunction with his construction science background will help both buyers and sellers achieve their real estate goals. Whether it's helping you sell your home or finding the home of your dreams. All things are possible with the Fleming Team. As the Fleming Team office manager Jada will assist in every way possible to provide support in your real estate transaction. From scheduling inspections, creating all marketing media for your home, walking you through the paperwork maze, or a host of other activities. She's here to support your every need. Call Jada with any questions, and let the Fleming Team take care of you. Debbie was born and raised in Kansas City and is familiar with almost any neighborhood you might be interested in learning more about. She has the experience and the drive to help you with your real estate transactions. 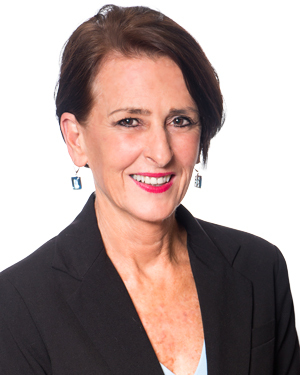 Debbie believes that honesty, integrity, truly caring and going the extra mile for each and every client is of the upmost importance when buying or selling a home or investment property, and so you can rest assured that you are in good hands. In 2015, Connie Farmer lost her battle with fallopian tube cancer. For 3 years, Connie's strong will to live, unwavering faith in God and continuous support of family and friends helped her fight the tough battle. During that time, I made a promise to Connie that I would take care of her clients who are considered friends and extended family as though they were mine. For 14 years, I worked side by side with Connie here at RE/MAX. As you all know, Connie was an amazing Realtor and I am honored that she asked me to continue her good work. Please let me know if I can help with any of your Real Estate questions or concerns.